This sky was created with multiple applications of orange, yellow, permanent rose and grayed red violets. Then I waited overnight for the paper to dry and glazed additional tea stains of permanent rose over the sky. 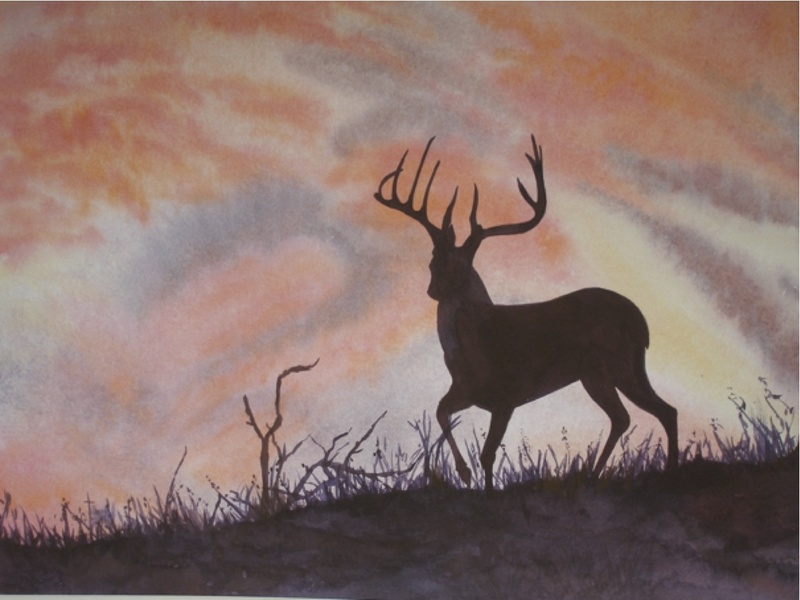 The foreground and buck were painted in warm burnt umber. This sky reminds me of the scene in Gone With the Wind when Scarlet is making a declaration to God. It also reminds me of a scene in Bambi when his father leaves him for the last time.